I stopped by Rockler the other day to pick up another Clampit. I think putting together the first couple of supports on the hall tree would have been easier if I had 2 of them to clamp at the same time. 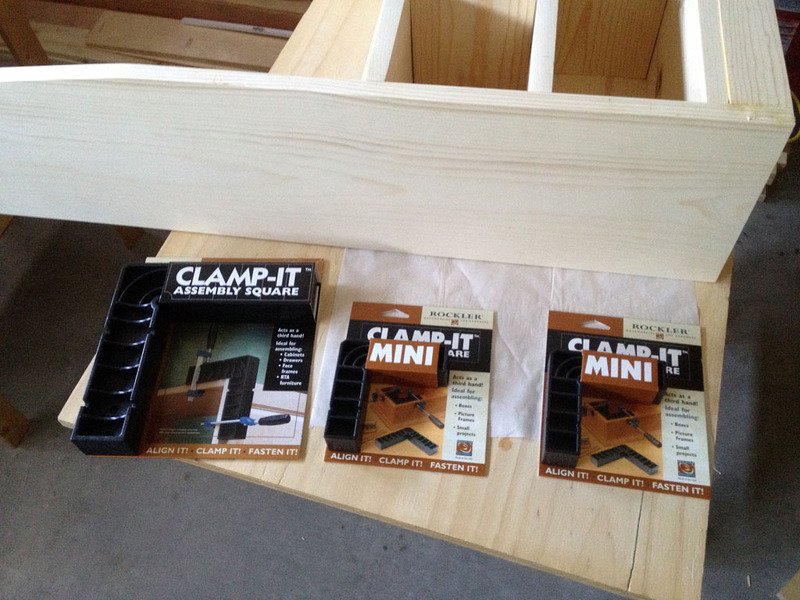 They also had the mini Clampits on sale for $4.99 so I picked up a couple of them as well. If you look in the top righ corner of the picture you can see where I had the pocket screw split the wood. I glued it back together and clamped it but now my wife wants me to stain it instead of paint it. The screw is really close to the surface so I may just pull it out now that everything is glued together. There is still a screw on the bottom half and I don’t think it should come loose.